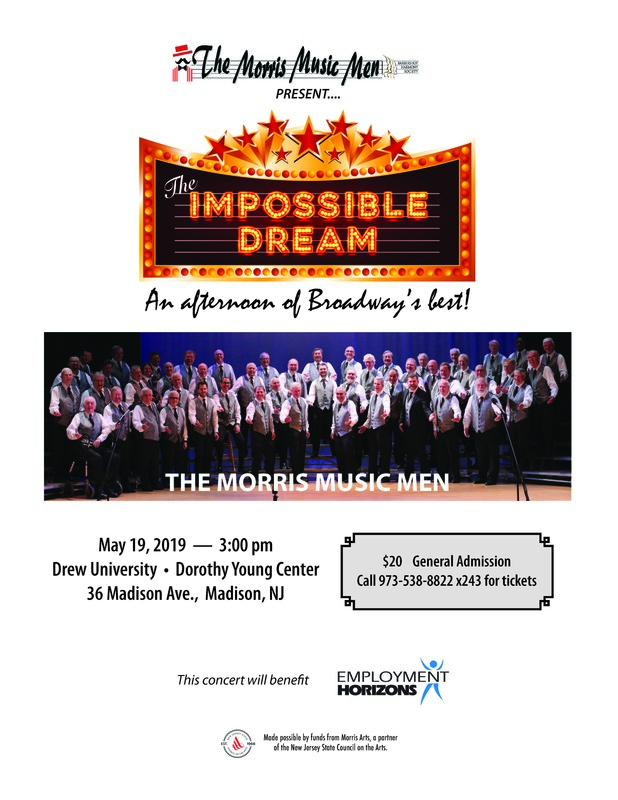 Join the Morris Music Men & Employment Horizons for another springtime concert! The Morris Music Men will be putting on a show that pays tribute to the American musical. It is called “The Impossible Dream,” and will feature songs from over a dozen beloved Broadway shows. Drew University Dorothy Young Center for the Arts (26 Madison Ave). Tickets are $20, and if you purchase your ticket here or by calling Emily Mills at 973-538-8822 ext 243, the proceeds will benefit Employment Horizons.